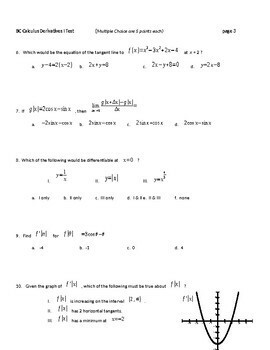 Three different BC Calculus tests over the concept of derivatives. 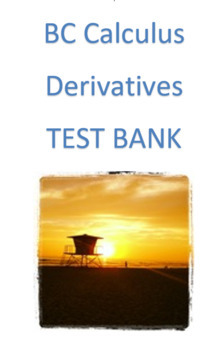 (48 total questions) This is an introduction to derivatives. 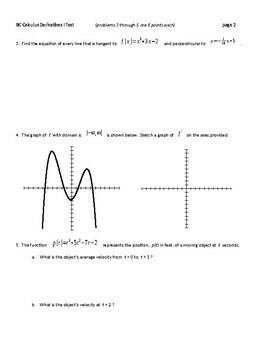 Question types include multiple choice and free response. Word format.